Flo-Med 1100 - ADM Tronics Inc. 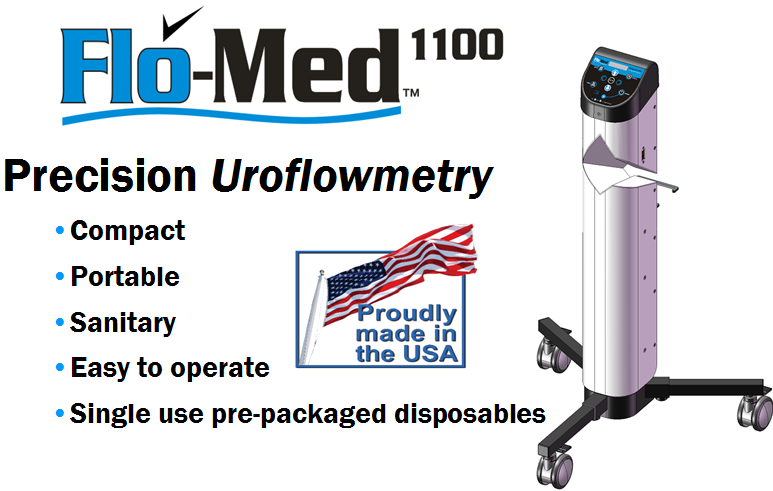 The Flo-Med™ 1100 is a breakthrough in uroflowmetry diagnostics that brings high-precision dynamic urine flow analysis to any medical office. This precision diagnostic system has been engineered to be extremely easy to use and provide unparalleled test-after-test accuracy.A unique, compact, movable design easily fits into even the smallest office environment without any special installation required. 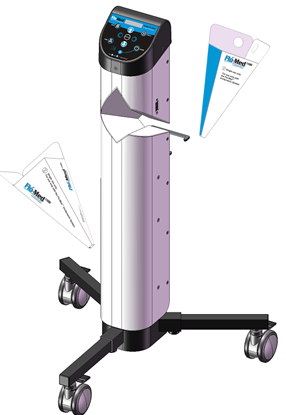 And, the results can be printed directly, wirelessly or stored in electronic format to easily mesh with any EMR system. A test that measures the volume of urine excreted, the speed of excretion, and length of time for excretion. Completely non-invasive – no risks. Useful in evaluating the function of the complete urinary tract. 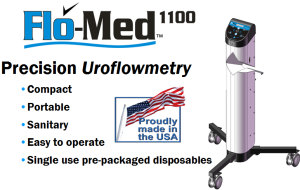 Uroflowmetry is a screening test demonstrating the result of the micturition reflex and information obtained will indicate the presence of dysfunction. An abnormal result indicates a voiding dysfunction and should be followed by further testing.